We offer free WiFi, free breakfast, free events. All rooms feature large individual lockers, private power sockets, comfortable beds and fresh linen. 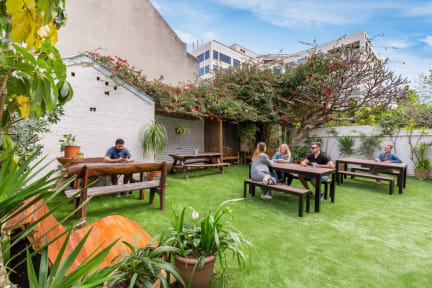 We are located opposite Prince Alfred Park, and only a few minutes from all of Sydney's major attractions including the Opera House and Sydney Harbour Bridge.